OKLAHOMA CITY – Oklahoma taxpayers are set to save $40 million during the current state budget year and each year thereafter, according to a recent report. The Information Services Division of the state’s Office of Management and Enterprise Services released its fiscal year-end report detailing the savings from the recently enacted plan to consolidate state government information technology processes. The report shows savings estimates continuing to climb and demonstrates that approximately $40 million in annual savings has already been achieved even though many state agencies still have not been incorporated into the consolidation process. The savings can be attributed in part to lower software costs due to the combining of the state agencies’ purchasing power and a 17 percent reduction in the number of IT positions needed to maintain the consolidated IT infrastructure. The plan also details additional levels of cost avoidance in addition to the $40 million in savings, including $1.8 million of potential cost avoidance after the centralized IT operation rectified software licensing-related liabilities previously incurred by state agencies. When the Oklahoma Legislature passed the proposal, it required IT officials to realize a savings of at least 15 percent of the state’s IT spend. The report demonstrates that the consolidation has met this goal. Last fall, Oklahoma Chief Information Officer Alex Pettit told the House Government Modernization Committee that the consolidation had allowed $30 million in annual savings. On the morning of Sept. 11, Pettit, will again testify before the committee and will inform members of the newest savings numbers. Pettit is expected to field questions on his department’s mitigation of legacy IT information security liabilities and the potential for additional savings as the consolidation continues. Pettit’s testimony is expected to take place at approximately 11 a.m. Sept. 11 in Committee Room 432A at the state Capitol building. The meeting is open and the public is encouraged to attend. The State Department of Education announced today that some state aid money previously held back to cover charter school enrollment is now being released to school districts. Some public school officials have engaged in unjustified, shrill criticism of Superintendent Janet Barresi over the amount of state aid money held back by the State Department of Education. They have largely failed to acknowledge that recent financial decisions are reasonable and responsible under current circumstances. Last month the State Department of Education was required to set aside enough money to cover potential enrollment in charter schools, including some charter schools that were still in the application phase. At the time the initial allocations for school districts were required to be calculated the charter school enrollment numbers were not known. The Department of Education sent an email today notifying school districts of the amended initial aid allocation. OKLAHOMA CITY – Governor Mary Fallin today announced the appointments of Pam Kanaly and Karen Waddell to the Commission for Human Services. The Oklahoma Commission for Human Services is a nine-member governing board for the Oklahoma Department of Human Services (OKDHS). Its members are appointed by the governor to staggered nine-year terms, with one membership expiring each August. These appointments fill all current vacancies on the OKDHS Commission. Pam Kanaly of Edmond is the president and co-founder of Arise Ministries, a national women’s outreach organization founded in 2002 that works to strengthen families and support single mothers. Prior to her work with Arise, Kanaly taught elementary and junior high school in Texas. Kanaly is a member of the Greater Oklahoma City Chamber of Commerce and the Edmond Chamber of Commerce. She received a bachelor’s degree in elementary education from Texas Tech University. Kanaly is replacing Jay Chase, who is deceased, and will serve through August 2015. Karen Waddell of Edmond is the president of the Lynn Institute for Healthcare Research. She also serves as the president of two other companies, the Lynn Health Science Institute, a clinical trials organization and Karen Vinyard Waddell and Associates, a company that specializes in training programs for at-risk children and their families. She previously worked as president of Eckerd Youth Alternatives, a behavioral health and child welfare services center. Waddell also served as the assistant vice president of the University of Oklahoma Health Sciences Center. She received a bachelor’s degree from the University of Oklahoma. She is replacing Richard DeVaughn and will serve through August 2021. Oklahoma Capitol - (Commentary) I received an anonymous comment on a blog post recently implying the Lindsey Nicole Henry Scholarship Program lacks accountability. That’s news to me and to the parents and students using the program. The writer complained the program “allows parents to take public dollars and remove their students to a private curriculum ... with no accountability.” They said this alleged lack of accountability has not been addressed in the debate surrounding this law. The issue of accountability has been addressed innumerable times by me and other supporters of the program - including parents. The problem is not that supporters have failed to address the issue, but that opponents of the program don’t like the answer. What is the answer, and why don’t they like it? In some respects, private schools are accountable just like public schools. Both public and private schools answer to boards. The anonymous writer, who posts under the pseudonym okeducationtruths, acknowledges that private schools, like public schools, must also be accredited by the State Department of Education. Private schools are also accountable to parents in a way that public schools are not. If parents are unhappy with a private school, they can take their child and corresponding funds elsewhere. Without the scholarship, parents who are dissatisfied with their child’s public education, and who don’t have the means to move to a different district or pay out-of-pocket for private school find their child stuck in a public school unwilling or unable to meet their educational needs. Opponents complain private schools aren’t regulated exactly like public schools. The anonymous protest left on this blog says private schools “do not have to teach the state-legislated curriculum or take state-mandated tests.” To that charge I respond, yes, private schools are different from public schools. The public school system is a government monopoly that can be unresponsive to the needs of some students. It is financially difficult, if not impossible, for most parents of children with special-needs who are dissatisfied with their child’s public education to leave their assigned public school. The Lindsey Nicole Henry Scholarship law provides a new option for special-needs students in such situations. As long as public schools are effectively a monopoly, they will need to be regulated. Private schools are not a monopoly. Unhappy private school patrons can easily leave a poor performing private school. So, the need to regulate these schools is considerably less. Still, there are reasonable regulation and expectations placed on private schools that participate in the scholarship program. It is common sense to most people that when consumers have more choices there is less need for regulation. When public schools fail students, they are given several years to attempt improvement. They also use this time to fill the Capitol with lobbyists to make excuses and delay intervention. Poor performing private schools simply lose paying students and go out of existence. What really offends opponents of the program is the Henry Scholarship law empowers parents of special-needs students to hold schools accountable - a role the education establishment believes should be solely theirs. Why don’t opponents of the program accept the answer? Some opponents, including legislators, public school administrators and others, have been so bold as to publicly criticize parents who make use of the program as ignorant and not acting in the best interest of their children. It’s important to remember that parents are the decision makers in the scholarship program. If a student is “pulled out of a public school and placed in a private school” it is because the parents believe it is best for their child. Julie Blake, the director of student programs at Jenks, is more direct in her opinion that parents should not be making important decision such as choosing where their child attends school. "Parents, I'm afraid, are unaware what they are giving up. Our concern is that our students are out there without anyone watching over them." It’s as if the children really belong to the public schools system and are simply lent to parents for the evening and summer break. Educators at Jenks evidently don’t think parents are the appropriate people to make such important decisions on behalf of the public school system’s children. Union Public Schools’ Superintendent Cathy Burden echoes the concern about allowing parents to decide where their child attends school. “[Parents] are giving up due process rights, continued IEP, auxiliary services, free and appropriate education, annual evaluations. ... There are a variety of things guaranteed to students and parents that would be lost." They assume that parents aren’t familiar with these “guaranteed” services. These public school services are required by the federal special education law, the Individuals with Disabilities Education Act (IDEA). The IDEA was necessary to protect special-needs students in public schools. The goal has been to ensure children with special-needs get the education they deserve because historically they had not. Have we drifted so far as a society that parents aren’t considered capable of making important decisions for their children? Are parents incapable of holding a school accountable if they are economically empowered to choose the school their child attends? I know parents who choose to use the program love their children more than the public school system does and parents are perfectly capable of making big decisions based on the best interests of their child. A few parents have used the scholarship to transfer their child to a private school only to later transfer back to the public school. Is the decision by these parents to send their child back to public school also suspect? There is a definite lack of accountability in special education programs in public schools - or at least a discernible lack of interest. Of the eight school boards that originally voted to ignore the law, including the two boards currently suing parents, I am aware of only two school board members who have wondered why parents and students would want to leave and attempted to look into the matter. This is very troubling. There is no apparent interest among these school boards to investigate the reasons some parents are dissatisfied. The Board for Tulsa Public Schools, at the request of the two board members I mentioned, said they would look into parents’ concerns. I’m not aware of any reports resulting from this promise. Privates schools participating in the Lindsey Nicole Henry Scholarships for Students with Disabilities Program Act are held accountable through the accreditation process, oversight from their boards and ultimately the parents who choose the school for their child. There is accountability - opponents just don’t like the program. Who better than parents to ultimately make these decisions and hold schools accountable? OKLAHOMA CAPITOL - Could your child use a free, effective math tutor after the summer break? Then you should check out the Khan Academy - It’s online, free and amazing! The Khan Academy website has more than 3,300 videos on everything from arithmetic to physics, finance, and history and hundreds of skills to practice. You can also learn about the current debt and European economic crisis. There is something for everyone. The Khan Academy is on a mission to help you learn what you want, when you want, at your own pace. Students can make use of an extensive video library, interactive challenges, and assessments from any computer with access to the web. Using the Khan Academy videos and exercises is fun - really! It makes learning fun, in part, because there is no pressure. You can learn at your own pace without a tutor looking over your shoulder or the time constraints of a classroom environment. You can watch a video over-and-over until you grasp a concept. The Khan Academy can help you catch-up and get ahead in math, science and many other subject areas. The Khan Academy website boasts that it has delivered more than 178 million lessons. State Capitol - The State Department of Education today announced a new collaborative effort with the Office of State Finance’s Information Services Division (OSF/ISD), the Cooperative Council for Oklahoma School Administrators (CCOSA) and the Oklahoma State School Boards Association (OSSBA). The effort is called the Data Pipeline Project and is a new partnership with school districts. The goal of the project is to resolve data collection and reporting challenges districts face. The Data Pipeline Project will result in local and state data systems that are less expensive, more efficient, produce better data and lead to better outcomes for students. The SDE issued a letter explaining the project along with additional documents detailing how districts may participate. Also included is information about the scope and timeline for the project. 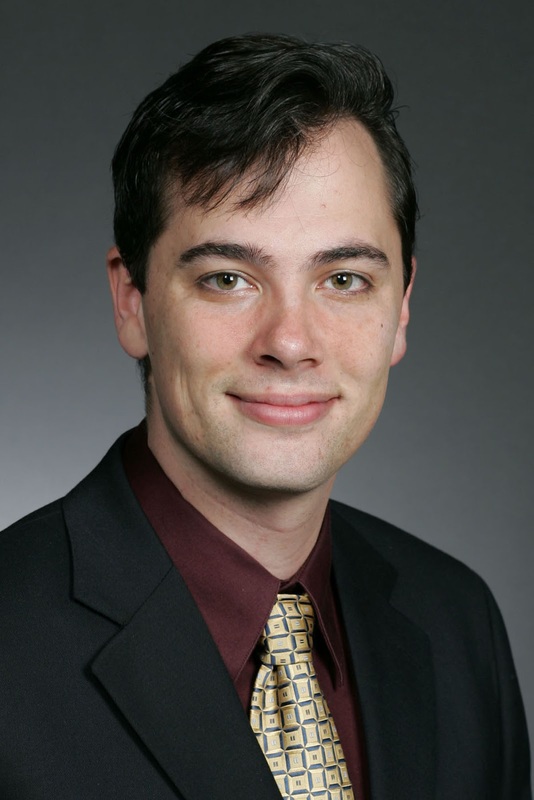 Jeremy Gibson of Tulsa is the chief executive officer and president of Spartan College. He previously served as president of Nashville Auto/Diesel College in Tennessee. Gibson received his master’s degree in business at the Xavier Business College in Sydney, Australia. He is replacing Andrew Moore and represents an executive or managerial position in private vocational schools. Sherry Campbell of Nowata is a teacher at Nowata Public School, where she has taught for more than 20 years. She is a member of the Oklahoma Council for Social Studies and the Oklahoma Alliance for Geographic Education. Campbell received a bachelor’s degree from Bartlesville Wesleyan College. Campbell is replacing Nancy Hindenburg, is certified in social studies and will represent the Second Congressional District. Patti Harrold of Edmond is a history teacher and department chair for Edmond Public Schools. She is a member of the Professional Oklahoma Educators, National Social Studies Supervisors Association and was a founder and past president of the National Council for History Education. Harrold received a bachelor’s degree from Oklahoma City University and a master’s degree from Lamar University in Beaumont, Texas. She is replacing Vicki Vaughan, is certified in social studies and will represent the Fifth Congressional District. Jerry Nye of Weatherford is a retired professor from Southwestern Oklahoma State University, where he taught English, speech, journalism and language arts. He is an honorary lifelong member of the Oklahoma Council of Teachers of English. Nye is a veteran of the Korean War where he served in the U.S. Army Corps of Engineers. He earned a bachelor’s degree in education from Easter Central University, a master’s degree from Oklahoma State University, and a doctorate degree from the University of Northern Colorado. Nye is replacing Mary Ferguson and will represent the third Congressional District. My thanks to the Oklahoma Council of Public Affairs for hosting a great event at the University of Central Oklahoma last week. OCPA hosted a screening of a new documentary about the Lindsey Nicole Henry Scholarship Program. Supporters turned out to express their enthusiasm and personal connection to Lindsey Nicole Henry Scholarship recipients. Several of these attendees went "on the blue carpet with OCPA" to answer a simple question: "Why the Lindsey Nicole Henry Scholarship Program?" Commentary: How do you know private schools do it better? This is a question I’m asked repeatedly regarding the Lindsey Nicole Henry Scholarship program. This unedited question is copied straight from an email I received. There are two ways to answer this question - a long answer and a short answer. I’ll give both. The first answer: I assume that do it better really means provide a better education. Certainly that is important but there is another consideration for many parents. It could, and probably should, also refer to doing a better job of protecting children with special-needs from bullying. Bullying unaddressed by educators in some public schools is the reason many parents decide to use the scholarship - not academic reasons. Most detractors don’t know that participating private schools have to meet certain standards. For instance, private schools that choose to participate in the program must meet accreditation standards set by the State Board of Education. Unlike poor performing public schools, private schools that do a bad job educating children run out of paying customers because students can take their money to a school that does it better. The question also seems to assume that what I think about private schools matters to parents. I’m not the one choosing which children participate or which private school they will attend. The law does not grant me the responsibility of arbitrarily assigning participating children to specific private schools by some nonsensical system such as basing it on their home address. That is how children are currently assigned to schools in the public system. In the Henry Scholarship program, parents are solely responsible for choosing the private school their child will attend. The Lindsey Nicole Henry Program makes an assumption, which I believe to be accurate, that parents who choose to use the program love their children more than the public school system does and that parents are perfectly capable of making big decisions that are in the best interest of their child. In this case, it is the process of researching and selecting a suitable private school. The question is always general in nature. Parents are not choosing between an idea like public schools and a different idea such as private schools. Parents who are using the program are choosing to transfer a particular child from a specific public school to a specific private school. So the answer to the question depends not on a general idea, but on which specific private school is in question. The law does make a general value judgement: More options are better than fewer options. Parents make the specific value judgments of whether to participate in the program and what private school their child will attend. At this point, the question has been answered but the answer is longer than necessary. I usually just give a one sentence answer styled as a question. I think it makes my point perfectly if children are our first concern. How do you know the public school to which a child is assigned does it better? Oklahoma Capitol - A special meeting of the State Board of Education has been called tomorrow, Friday, Aug. 3 at 10 a.m. The special meeting was called so the Board could consider four Achieving Classroom Excellence appeals from Tulsa. These four appeals were held over from the last regular Board meeting. 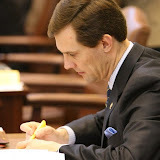 A law passed during the 2012 Legislative Session guarantees an appeal to the State Board of Education for students who are denied a standard diploma for failing to meet the ACE graduation standards. The special Board meeting is necessary because the law requires appeals to be acted on by the Board within 45 days. So far, the number of appeals submitted to the board is significantly fewer than was predicted by many who opposed the standards and were recently attempting to roll them back. The vast majority of the appeals received by the Board have come from students who were enrolled in school districts in Tulsa County. The class of 2012 is the first to have to meet the new graduation requirements. When the standards were passed in 2005, it was predicted that 22 percent of students graduating in 2012 would fail to meet the standards and that remediation costs would be significantly higher than has been the case. Early information indicates that more than 90 percent of seniors this year have met the standards. The board will hear public comment and is then expected to convene in executive session to discuss the appeals before returning to open session to vote. The meeting will be held in the regular meeting room at the Oliver Hodge Building, 2500 N. Lincoln Blvd., Suite 1-20, Oklahoma City. Washington, D.C. – As states nationwide announced their end-of-year assessment test results, five Chiefs for Change states – Indiana, Louisiana, New Mexico, Oklahoma and Tennessee – reported noticeable improvements in academic achievement. The increased test scores are attributed to the adoption and implementation of a number of education reforms in these states in recent years that focus on accountability and higher standards. The 2012 Indiana Statewide Testing for Education Progress Plus (ISTEP+) resulted in record-breaking scores, with one-year gains in all subject areas. Since the 2008-2009 school year, Indiana students have achieved gains of at least eight percentage points in each subject tested. Overall, 71 percent of students passed both the English Language Arts and Math portions of the test, representing a one percent gain over the previous school year and an eight percent gain since 2008-2009. Louisiana’s end-of- year assessment tests for the 2011-2012 school year resulted in statewide gains in academic achievements, with nearly 10,000 more students at grade level this year as compared to the previous year. Specifically, the percentage of students performing at grade level for all grades and subjects grew two percentage points from 66 percent in 2011 to 68 percent in 2012. The two-point gain represents the largest in three years. Results for the 2012 State Based Assessment (SBA) exam showed marked improvement in many areas. Specifically, seventh grade math scores improved 4.1 percent, fourth grade reading scores improved 3.4 percent and fifth grade reading scores improved 3.1 percent. Overall reading and math scores increased by approximately one percent from the previous year, with roughly 50 percent of the students tested (third through eighth grades and 11th grade) reading at grade level and 43 percent solving math problems at grade level. Oklahoma’s Achieving Classroom Excellence end-of-instruction tests in critical math subjects showed significant gains, with Algebra II scores up 21 percentage points compared to 2008. Students also showed notable gains in Geometry and English III, with increases of 14 percent and 10 percent, respectively, since 2008. Additionally, writing scores in the Oklahoma Core Curriculum Test increased by five percent over last year, with 90 percent of eighth graders showing proficiency in 2012. Student performance on the 2012 Tennessee Comprehensive Assessment Program (TCAP) improved statewide for the second year in a row, resulting in the highest aggregate test-score gains in state history. Students in grades third through eighth reached higher levels of proficiency in 23 of the 24 TCAP assessments, achieving the highest scores in reading, math and science. High school students also showed significant improvement, with more than half of them scoring proficient or advanced in a number of subjects including algebra and biology. Comprehensive education reforms have been the topic of much discussion at the state level as governors and legislatures across the country continue to pass and sign bold reforms into law. 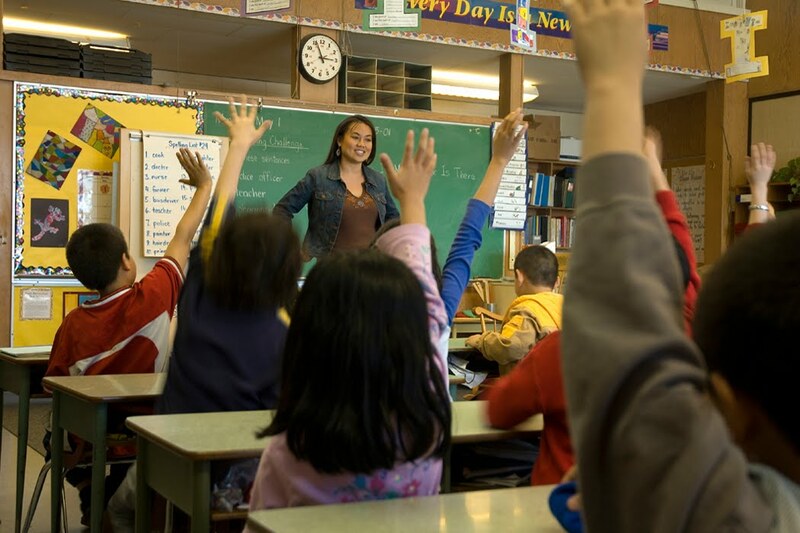 New Jersey lawmakers took a tremendous step this legislative session toward modernizing the teaching profession in their state by unanimously passing a student-centered bill that increases teacher accountability. New laws and regulations in Rhode Island promote virtual learning, expand career-technical education, and provide access to more Advanced Placement (AP) courses. Additionally, the State opened a “Data Hub” that brings together student data from prekindergarten through college to promote continuous improvement of teaching and learning. Maine Governor LePage issued an executive order requiring the Maine Department of Education to pursue a strategic plan for digital learning that includes more course options for students, especially those in smaller and more rural schools, and the renewal of the highly successful Maine Learning Technology Initiative. Additionally, Florida introduced higher assessment standards this year to its Florida Comprehensive Assessment Test (FCAT), and was ranked second in the nation in test-score gains in a report released this month by Education Next. Chiefs for Change is a coalition of state school chiefs and leaders that share a zeal for education reform. Together, they provide a strong voice for bold reform on the federal, state and local level. It is committed to putting children first through bold, visionary education reform that will increase student achievement and prepare students for success in colleges and careers. Learn more at www.ChiefsForChange.org.